Excitement is in the air today at Daydreams of Quilts because this glorious bundle of fat quarters arrived in today’s mail from Fridays Off Fabric Shop. November Le Club half stash bundle and the prize for this giveaway! This bundle is the November Le Club half stash bundle. Le Club is a monthly fabric subscription program at Fridays Off. You have a choice of a half stash (6 fat quarters/month) or a full stash (12 fat quarters/month) bundle when you sign up for a subscription to Le Club. Shipping is free! There are “no duplicates, ugly prints or discount fabrics.” Every bundle is carefully curated by Alanna and if you take a look around her shop you can see that she has great taste. November Le Club full stash bundle. Fridays Off is now offering a gift subscription for Le Club. 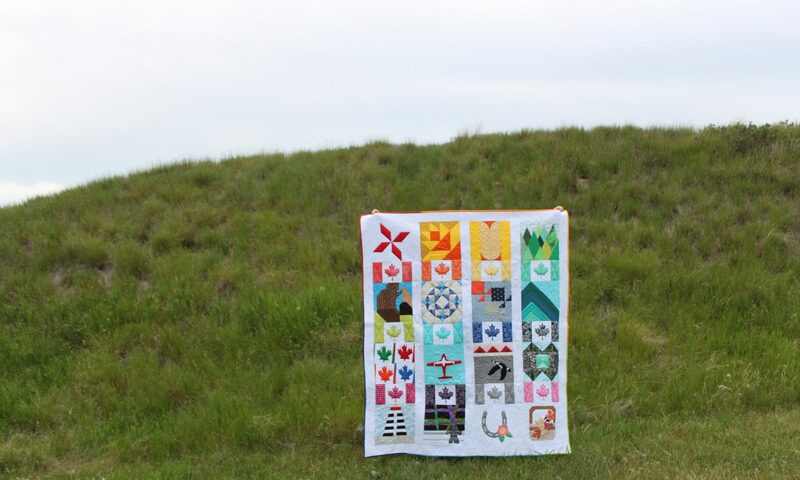 What an awesome gift for your favourite quilter in your life! I know it’s on my wish list. The gift subscription comes in 3-month and 12-month options. The 12-month option is a great value because you get 12 months for the price of 11. Here’s a “coming soon” inside scoop for you too: Friday’s Off is adding a Solids Subscription in January. You will receive a bundle of 8 fat quarters colour coordinated by Alanna every month. For a sneak peak of what colours you could receive click here. November Le Club half stash bundle. Fridays Off has always given me great service and I am pleased to recommend them as a Canadian online fabric shop that I happily shop with often. They are generously giving a November Le Club half stash bundle to one of my readers! This is perfect timing because we are all ramping up our Christmas and Holiday sewing. What could be better than a beautiful bundle of Cotton + Steel Holiday fabrics to work with!? To enter please use the Rafflecopter. If you do not have Facebook to sign in with you can sign in with your email address. This giveaway is open to Canadian and US addresses. The giveaway will close at midnight MST on November 17th and a winner will be randomly selected by Rafflecopter. Good luck! Yet another great Canadian fabric shop. Thanks for the giveaway!! Tinsel is one of the best holiday collections! Chez Ami Gris Fonce is my favourite although I love many more on this fabulous CANADIAN fabric shop – YEY! Love the Rhinos in turquoise. I love Make a Christmas Wish. Sherwood Stags in Burnt Orange is so cute! I like Sacred Seeds fabrics. HELLO, I LOVE "Make a Christmas Wish". Love these! I'm totally out of Christmas fabric in my stash! Right now I'm loving the big bear little bear fabrics by Lewis and Irene! Love Fridays Off too!! I love their Christmas fabrics – especially Tinsel! Great selection of fabrics… I just love Butterflies in Cream by Heather Ross!!! Just cut into my stash of Xmas fabrics so this giveaway is great timing. Thanks for the chance. Tinsel is my favorite for Christmas fabric! Moda's Chez Ami Gris Fonce is right up my alley! I love the tinsel line, but my favourite on the site are the yarn kittens from Tiger Lily by Heather Ross! Something I love is: Paint Dot in Cloud (Pearl) by Cotton and Steel. So pretty! I love so many but Foxsimilies by Charley Harper stood out just now! Thanks for the chance to win. I like Make a Christmas Christmas Wish. Thanks for the great giveaway. I like the Ducks in Black. So cute. Fridays Off has a great selection! I like Tula Pink's Eden line. I love the Echino fabric and of course Tula Pink. SeW much goodness! I have never seen the Lewis and Irene Nose to Nose before… Love it! Thanks, off to go look some more! Love the bundle of C+S fabrics. The store has a great selection and always great to learn of another Canadian shop. Love the holiday fabrics. I usually shy away from them. I'm a fan of Cotton + Steel! Great bundles! I love so many things… all three half meter bundles, Critter Parada, Teal X, Pica, Marching Cats, Chez Ami Gris Fonce… I could go on. I love Marching Cats in pink! I too am low on Christmas fabrics! It would be sweet to win. Lots to Looooove! 🙂 But today my Favorite is the "Pinwheel Knit in Rose"!!! Beautiful! lovely color! I am ooh and aahing over Bicyclette Gris. Perfect for something for my bicycle and cat loving daughter. So many lovely fabrics at Fridays Off. Maybe an odd pick, but I love the Royal Stag on Snow fabric. I love the Snow globes print from the collection! I'm really digging the Lucky Strike bundle they have in stock. Thanks for the chance to win! Loving the Gleaming Sunlight in Soft Grey. Wow!! They have EVERYTHING in their shop!! I love a good fabric club, and those solids are right up my alley 🙂 My fav, though, is the Charlie Harper foxes that they have. Swoon!! Love her new designer fabrics she added 13 colors. Thank you for the Christmas goodies. I have been working through my Christmas stash since July. I like little hens on earth. I've never made a christmas quilt but have always wanted to! I would love any of the xmas fabrics! The Tinsel line is adorable! PANEMA MAIN IN ORANGE – ORGANIC. This is so pretty. It's my favorite. I love bicyclette gris! I have to tell you as I started to scroll down I thought Oh no my computer's not loading images again. But they were solids! Made me laugh. Love these! I'll have to pick up the snow globe print too. I love the Penguins in Cream fabric. Thanks! Love the woolley sheep and hens on earth. So fun! I'm into Christmas sewing now. My favourite fabric on Fridays Off is Little Fairies on Wine in metallic. One fabric I'm crushing on is Riley Blake's Merry Matryoshka in Blue for some sweet sewing! Thanks for the lovely giveaway Anita and Alanna. Love the tinsel line.. thanks for the offer. .. I love the XOXO in pink! Thanks! Love the Lucky Strikes FQ bundle! Great giveaway, Anita! I love Fridays Off. Thanks for the giveaway – these fabrics are adorable! So great to find another Canadian shop. I'm liking all of their Christmas right now! I can't believe that I don't have any Tinsel! Thanks for the giveaway. I'm loving the C+S Washi White! Thanks for the giveaway.